For the discerning enthusiast, no collection of precision firearms is quite complete without the quintessential carry. Yet certainly, no ordinary carry will do. That’s why we’re proud to introduce The Gentleman’s Carry with full-cycle technology. A meticulously crafted pistol steeped in our long-standing tradition of creating the finest, most luxurious firearms the world has ever seen. 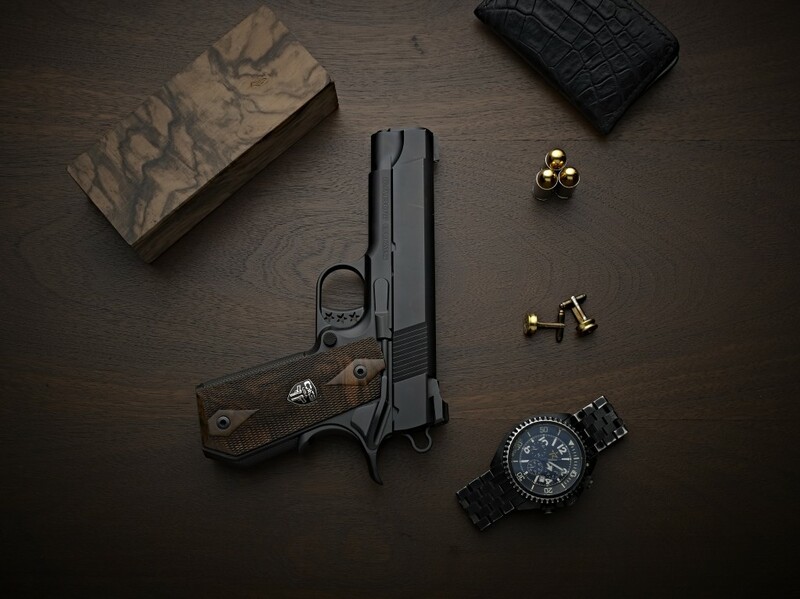 From its checkered walnut grip adorned with the unmistakable Cabot Medallion, to its elegant, all-black matte finish, our Gentleman’s Carry achieves the perfect balance of classic beauty and modern design in a precision 1911 carry for today’s modern gentleman. 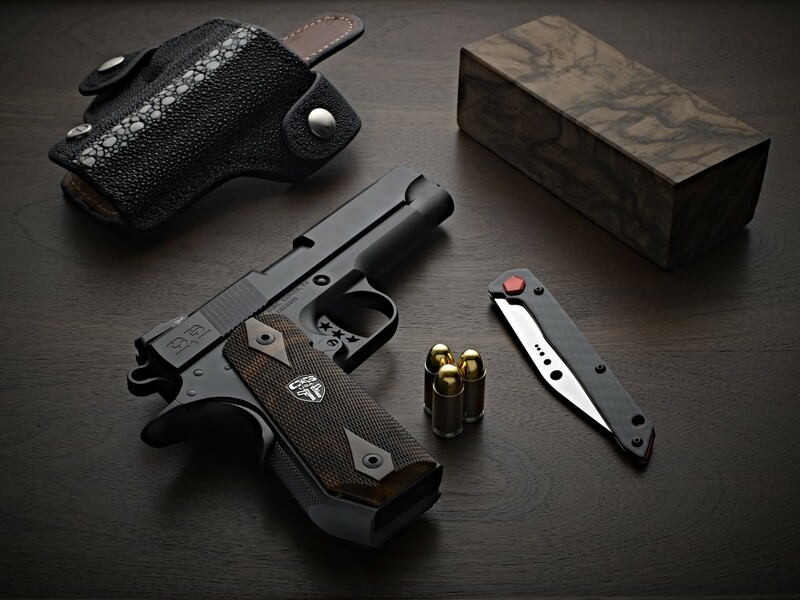 Constructed from a foundation of USA Sourced Billet 416 Stainless Steel and featuring a Bobtail Cut Frame, tritium front and rear sights, a hand polished feed ramp, and a 4.25 inch flushed and recessed crowned barrel with Cabot barrel bushing, this masterfully crafted carry gun with full-cycle technology provides the benefits of a full-size pistol in a small, beautifully created package.